The Athens Rotary Club is proud to support our community and the Trinity Community Center. 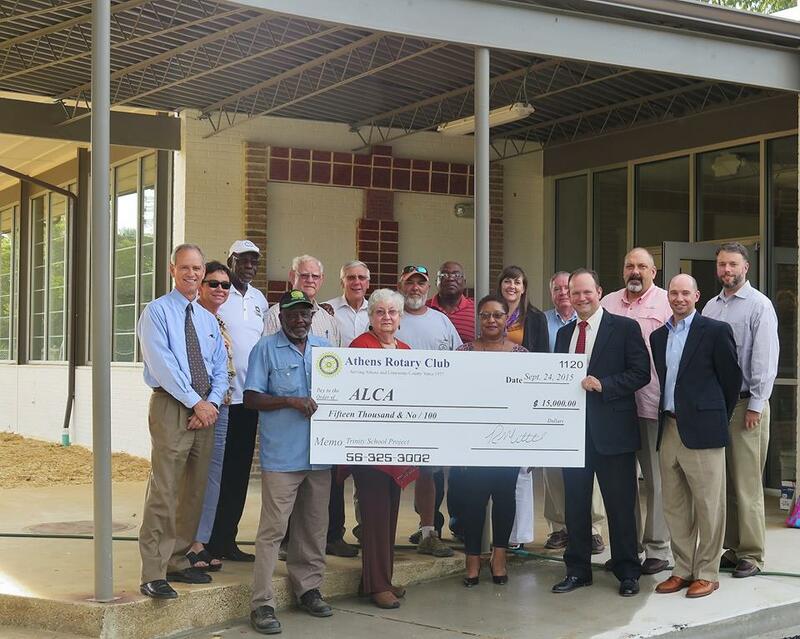 On September 24th the Club presented a $15,000 check to the Athens-Limestone Community Association which oversees the Trinity site. The funds will assist in the completion of landscaping at the site and the Club will assist with some of the landscaping efforts, including tree planting. The site is home to the Union built Fort Henderson, where escaped slaves fought for the Union and were captured by Confederate Gen. Nathan Bedford Forrest. It is also home to Trinity School, which served as the county's only all black high school until integration. The site tells the story of slave to soldier to student. The new community center which will open later this year will serve youth and adults with job training skills and other educational training opportunities.